The Q-switched Nd:YAG laser delivers light of specific wavelengths in ultra-short (nanosecond). The high peak energy pulses are absorbed by the pigments and results in an instantaneous blast, that is light blasting principle. The pigments and results are shattered into fragments, some can be bounced out of the skin and others can be split into tiny particles that can be engulfed by phagocytes and then eliminated by the lymphatic system. What is Q Switched ND:Yag Laser? This is a laser procedure in which a beam of light at a specific wavelength is emitted within a fraction of a second and is absorbed by pigments in the skin, including melanin and tattoo pigments. 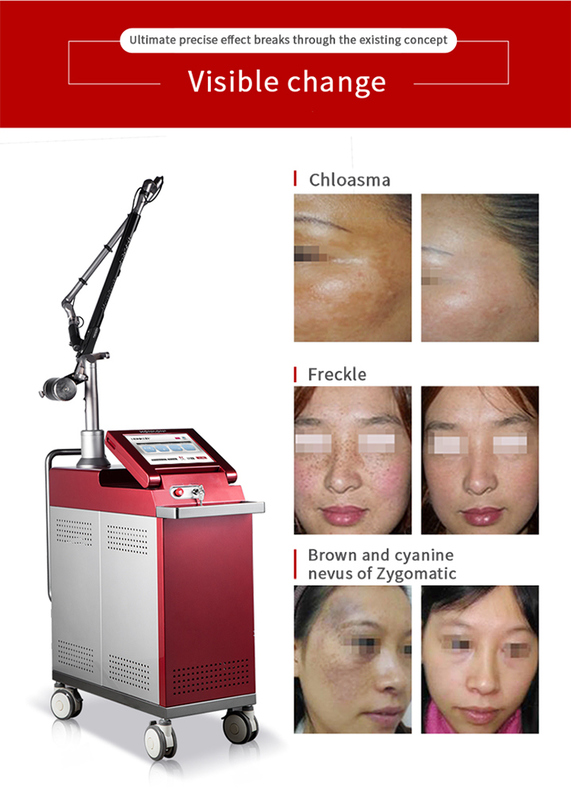 What is Q Switched ND:Yag Laser used for? Q Switched Yag Laser is used for removing brown age spots on the face, chest, hands and arms and tattoos. This laser also removes permanent makeup. Is Q Switched ND:Â Yag Laser safe? Q Switched Yag Laser is a safe and effective method of treating age spots and tattoos. A skilled beautician in the use of laser performs it. What are the possible side effects from Q Switched ND:Â Yag Laser treatment? Possible side effects include blistering and crusting after the treatment, hyperpigmentation and hypopigmentation. Is Q Switched ND:Â Yag Laser painful? For laser treatment of tattoos, the client will feel a bit heat but not painful which ensures patient 's comfort during the treatment. Can tattoos be completely removed with the Q Switched ND:Â Yag Laser? Most tattoos are considerably removed, and many are completely removed. Some areas may show a 'shadow' of the former tattoo, which gradually clears. Beijing HONKON TechnologiesÂ Co.,Â Ltd.Â is a leading professional Medical & Beauty Equipment manufacturer , Â engaged in research,Â design, manufacture, distribution and service in beautyÂ industry Â more thanÂ 20Â years. 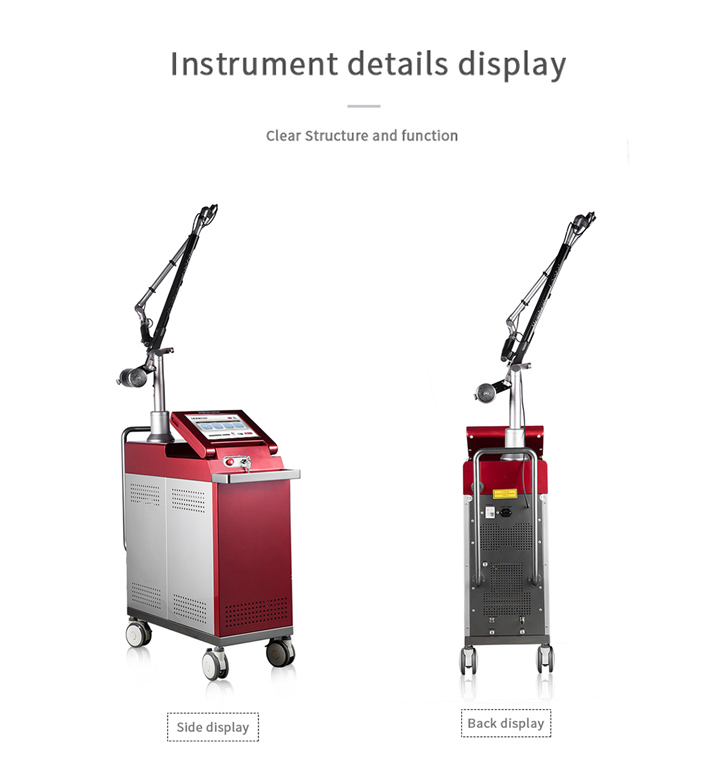 Our products cover SkinÂ Analyzer, Q-Switched Nd:YAG Laser, Diode Laser Hair Removal, Ultrapulse CO2 Fractional Laser, Er:Bium Glass Fractional Laser,Â HIFU Equipment,Â Liposonix HIFU Body Slimming System,Body SlimmingÂ & Shaping Series,Â Cryolipolysis loss weight Series, RF&E-Light(IPL)Â Series,Â Â 980 Diode laser for Vascular Lesions, Water&Oxygen Jet, Hair Growth Beauty Machine, BMI Height Weight Machine, Micro Bubble Facial and Home UseÂ BeautyÂ Machines. Most of our productsÂ have been approved by International Standard Organization( ISO)9001, ISO 13485, CE93/42/EEC, EMC,Â SFDA, TGA and FDA. HONKONÂ is headquartered in Beijing, China, with an area of 4768 square meters factory and over 600 staffs. WeÂ also haveÂ a well organized and innovative R&D team withÂ 50 skilledÂ engineers to provide OEM&ODM, training, technology support and maintenance all-around service. HONKON is a well-knownÂ brand with high reputation in North America,Â South America,Â Europe, Africa,Â Middle East, Southeast Asia and Australia. Within nearly 19 years'Â development, "HONKON"Â has establishedÂ its good reputationÂ and awareness in the domestic and overseas markets. HONKONÂ will adhere to theÂ "Science Creates Beauty"Â guidance, strengthen research and development of products in medical and aesthetic device industry, committed to serving Â all the customersÂ at home and abroad.Â Within the next five years, we will strive to be a first-class Medical and BeautyÂ Equipment supplier with enhanced self-development capabilities, advanced technology, increased team productivity and theÂ acceleratedÂ development cycle.